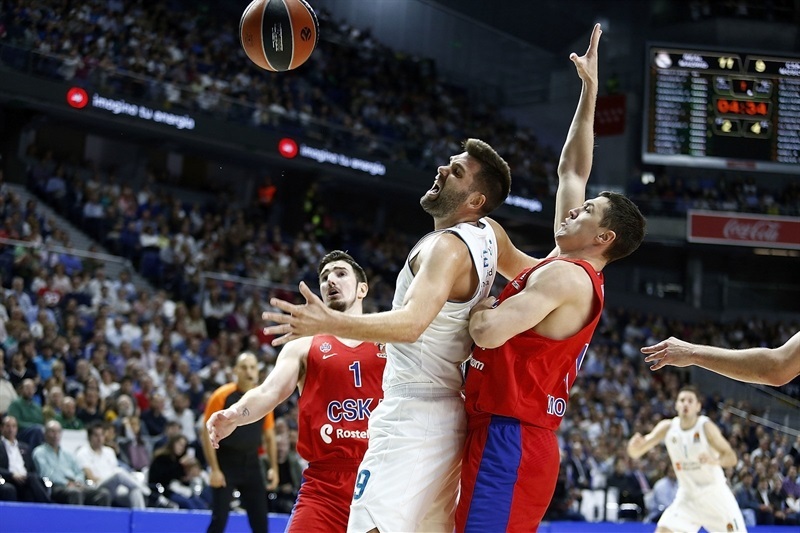 In a battle between the two winningest teams in continental basketball, Real Madrid send a message that echoed all around the Turkish Airlines EuroLeague by topping CSKA Moscow 82-69 in the Spanish capital on Thursday. 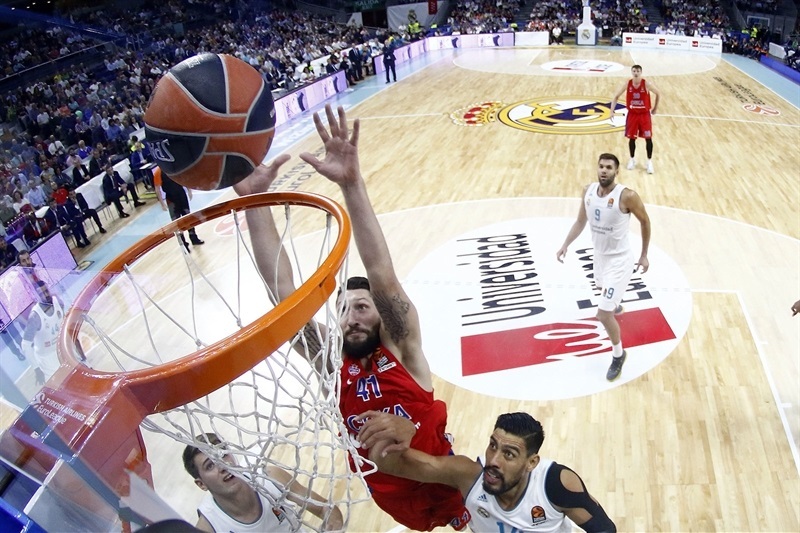 Madrid improved to 2-0 in the regular season standings, while CSKA dropped to 1-1. Anthony Randolph led the winners with 16 points before leaving the game with a shoulder injury. 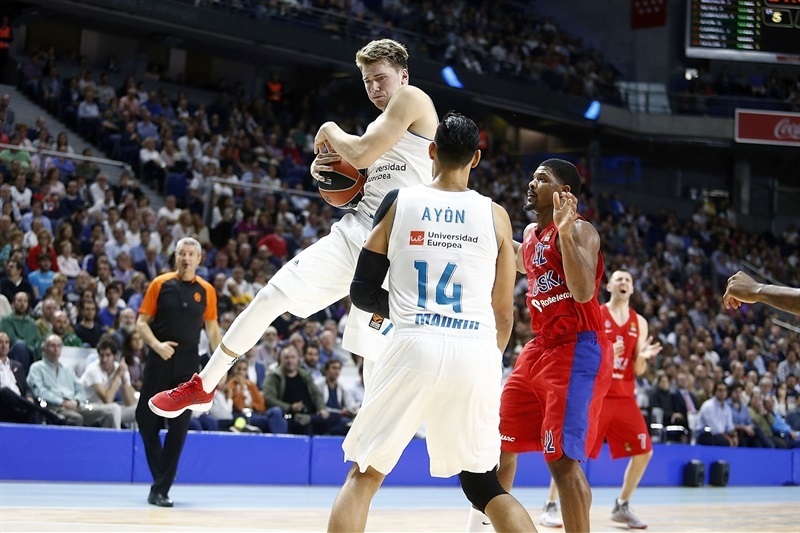 Luka Doncic added 14 and Gustavo Ayon grabbed 11 rebounds for Madrid. 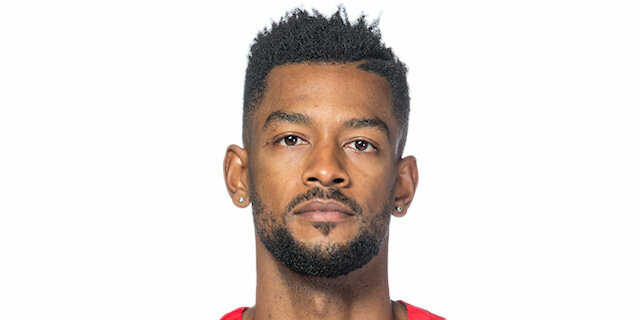 Will Clyburn led CSKA with 15 points and Cory Higgins added 11. 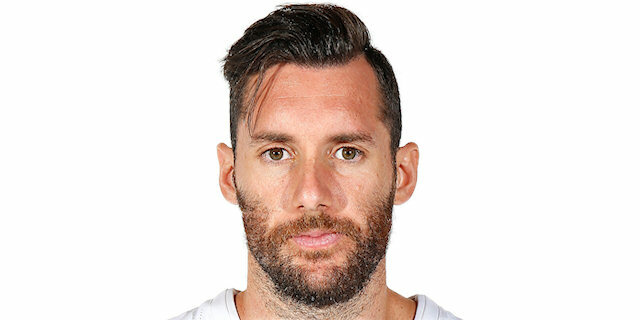 Felipe Reyes shined in the first quarter and three-pointers by Doncic, Fabien Causeur and Rudy Fernandez gave Madrid a 20-15 lead after 10 minutes. 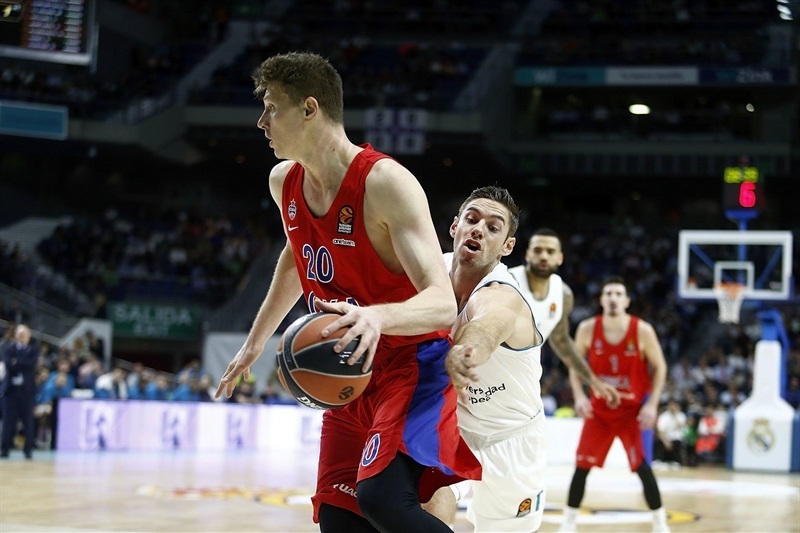 Doncic and Randolph took over right after that, helping Madrid boost its margin to double digits, 45-33, at the break. CSKA found a go-to guy in Clyburn, who helped the visitors get as close as 56-53 after 30 minutes. 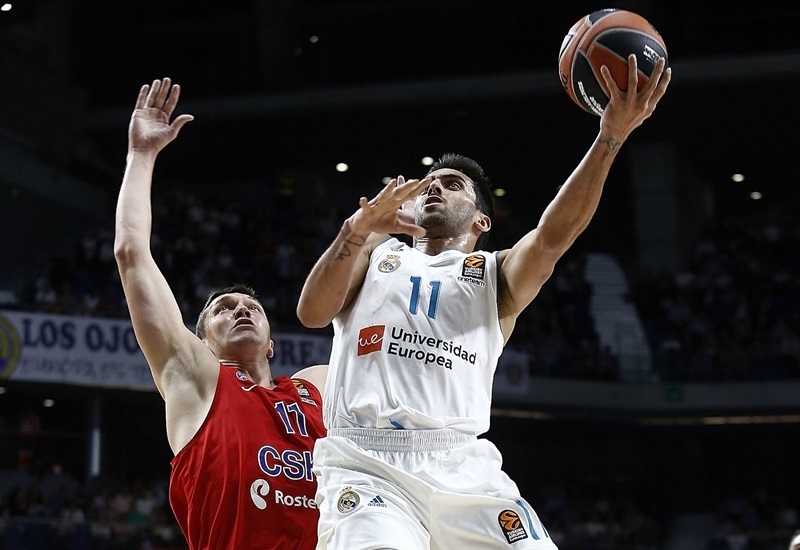 A rain of three-pointers and an outstanding Facu Campazzo saw Madrid seal the outcome down the stretch. Nine different Madrid players hit at least 1 three-point shot in what was the biggest key to this game. A three-pointer by Doncic gave Madrid an early 5-3 lead. 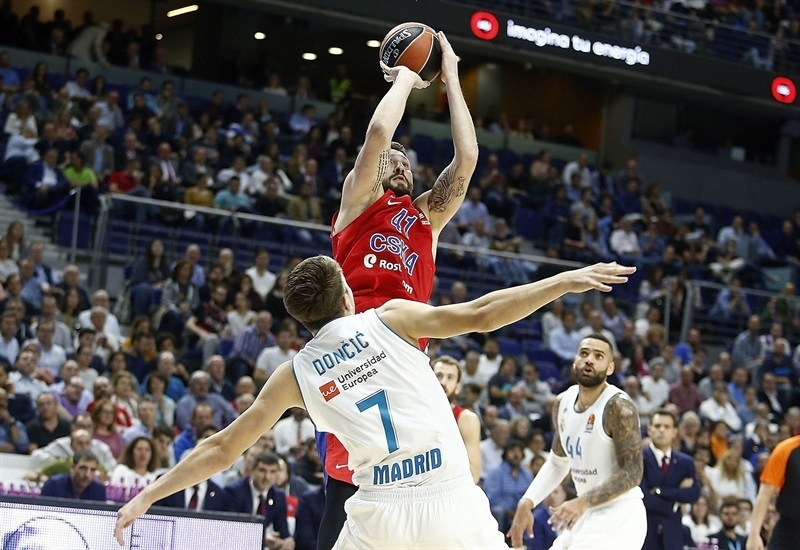 Nikita Kurbanov stepped up with consecutive turnaround jumpers, but Causeur struck from downtown and got help from Ayon and Reyes to keep Madrid ahead, 13-9. Sergio Rodriguez joined the three-point shootout, but Randolph, Fernandez and Campazzo fueled a 7-1 run for a 20-13 advantage. A jumper by Leo Westermann fixed the score at 20-15 after 10 minutes. Clyburn scored in the low post and a jumper by Westermann made it 20-19. Jaycee Carroll, Chasson Randle and Randolph each hit one from the beyond the arc, which caused CSKA to call timeout at 29-22. Ognjen Kuzmic left the game with a knee injury. Higgins and Rodriguez tried to change things for CSKA, but Doncic had 5 points in a 7-0 run, Jeffery Taylor added a jumper and Randolph followed a triple with a dunk to make it a double-digit game, 45-31. 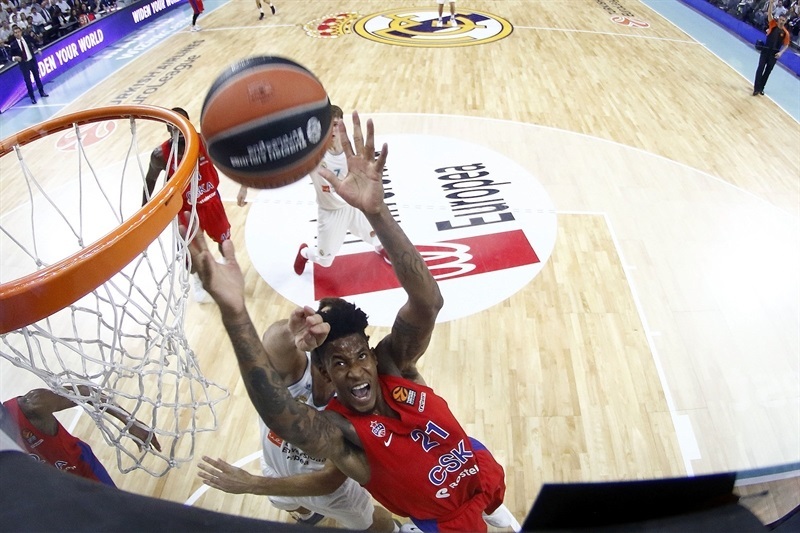 Kyle Hines scored down low to bring CSKA within 45-33 at halftime. Clyburn and Higgins combined for all the points in a 0-6 run that brought CSKA back to life at 45-39. 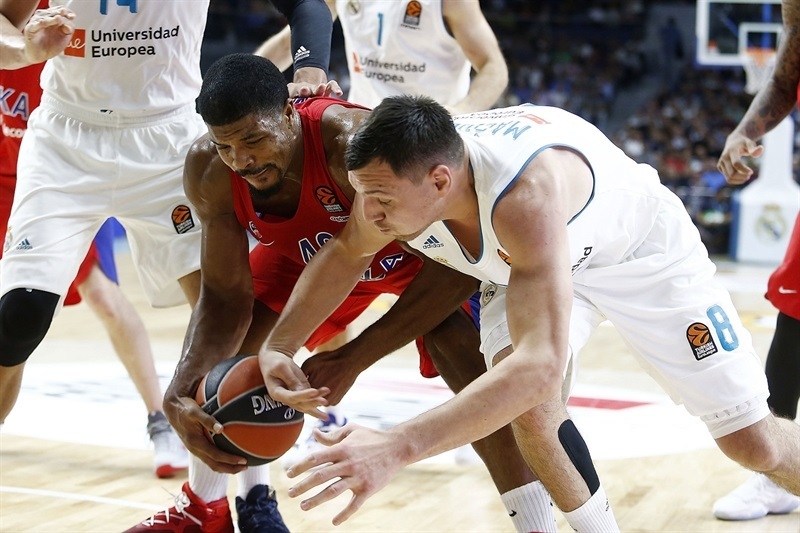 Clyburn kept pushing CSKA, but Randolph and Causeur kept Madrid in charge, 52-46. Othello Hunter and Nando De Colo brought CSKA a bit closer, 56-53, after 30 minutes. 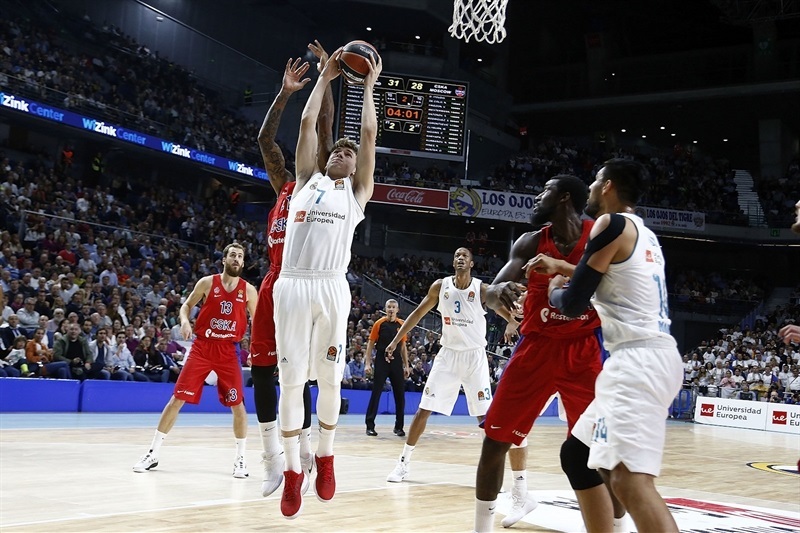 A layup by Reyes and three-pointers by Fernandez, Jonas Maciulis and Campazzo gave Madrid plenty of fresh air at 67-59 early in the fourth quarter. Campazzo took over with consecutive baskets and a corner triple by Taylor sealed the outcome at 76-66 with three minutes left. "I think our defense was very good during the whole game. We were very consistent - they got some offensive rebounds that we may could have got, but in the end, when you have great players in front of you, you do an extra effort trying to stop them and maybe we lost some of those rebounds [because of that]. Offensively, we moved the ball well. We got a good percentage in open jumpers and I think that was the key to this victory. It is not a good day for us; we will see how Kuzmic is, but it doesn't look too good, and Randolph had a shoulder problem, we will see what it is. Maybe tomorrow we will find out about both." "It was obvious that Real Madrid was better and I have to congratulate them; they played a good game and deserved to win. We had only one quarter in the game when we tried to come back and actually managed to come to the 3-point deficit but, overall, Madrid deserved the W. We were very bad today. We were not at the level we are supposed to be to compete, so congratulations to them. When the league starts, you have several goals. The first goal is to stay healthy and be in shape as soon as possible. Obviously, we have a new team. We have some new additions that have to work together and go through wins and losses, through trips, meetings, analysis, criticism... in order to grow up as a group. To talk right now about [getting home-court advantage in the playoffs], the way we played today, we don't belong between the best eight. Talking about the future, that's too far away. I think that the target for all 16 teams should be qualifying to the playoffs; that's the first thing. Last year, the EuroLeague showed us that Fenerbahce won a well-deserved title without the home-court advantage in the playoffs. I am not saying that we are not chasing the home-court advantage. None of those teams will say that we are not chasing that, but this is a process that you need to build on. We scored 69 points today; this is my fourth year with the team and I don't remember to have that bad night with 17 turnovers, 5 assists, winning the battle on rebounds, having such poor shooting percentages, threes and twos, in such a game. You need to make shots. 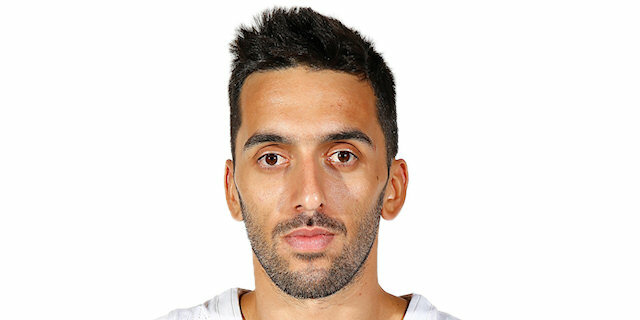 Of course, how are we going to have assists if Chacho is creating, Nando is creating, my spread guys are not making shots, or we are not making free throws, especially in the first half? It is a process. Talking about the top four is not realistic for us right now. We have to talk about how we are going to live the next day, the next practice." "I think we played smart basketball and played very good defense, really aggressive against one of the best teams in Europe. Anthony Randolph was unbelievable. He is a great player, very important for us. His scoring mentality is great and he is a great player, one of the leaders in this team. 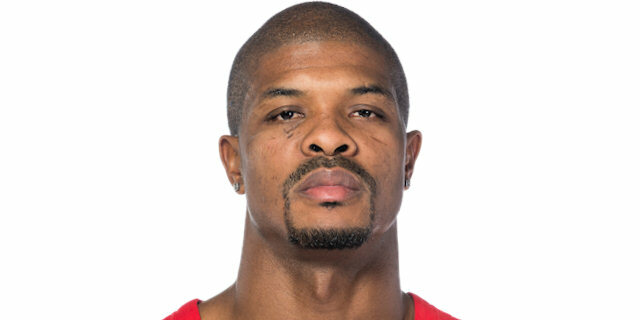 I hope his injury is not too bad." "Let's talk about the team first. We took our sixth player on the court, our fans, who helped us in key moments of the game. We had bad luck with injuries, but managed to put our heart on the floor in the second half, especially in the fourth quarter. We played very good defense against a very powerful offensive team. I think we played a great game. They have a lot of choices on offense, both in the perimeters and in the low post. They are really good defensively, too, so we needed to rebound well, stop their offensive boards and their pick-and-roll defense. We played great defense on El Chacho and that was important to win the game. You need to play with intensity and play hard on defense." "Obviously, we didn't play to our abilities or at the level we wish we could be playing at, not at this point of the season, but I guess you can say that the only good thing about it that there is still a long way to go. We have many more games and many more opportunities in front of us to change, so it is on us to get back to work, to get back to practice, to get back to playing the way that we know how, the way that we played previously and the way we are expected to play." "I think that they outhustled us a lot on 50-50 balls. We were on another level, offensively and defensively, than we need to be going forward. We have to regroup and get better."